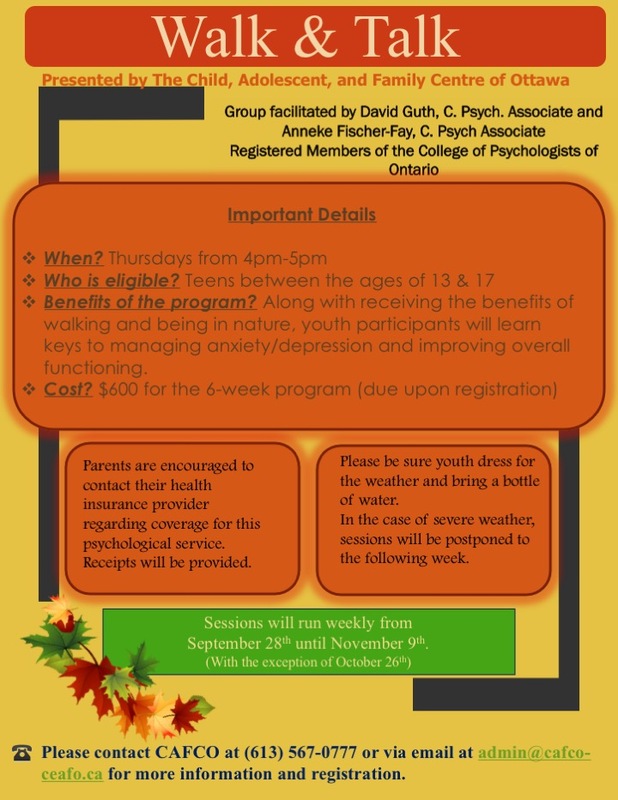 Location: RA Centre, 2451 Riverside Dr. Ottawa, On. We are happy to provide receipts for all couples who attend the workshop. Please check with your insurance provider regarding reimbursement. 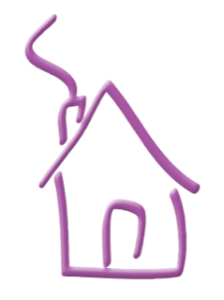 REGISTRATION NOW OPEN ! Click HERE to register now. EARLY BIRD SPECIAL: Sign up before October 1st and save $100!!!! 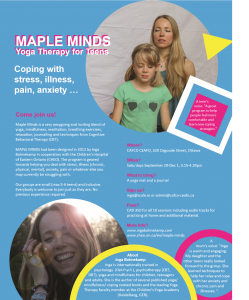 UPCOMING EVENTS – YOGA FOR TEENS. 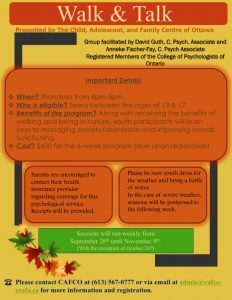 SEE FLYER BELOW – ONLY A FEW SPOTS LEFT! 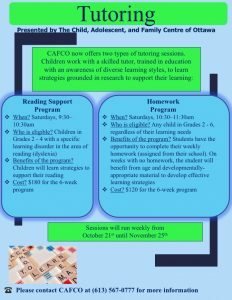 EMAIL ADMIN@CAFCO-CEAFO.CA TO REGISTER. 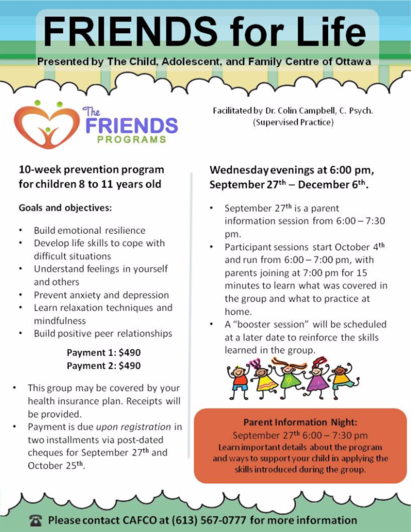 STARTS SEPTEMBER 29TH. 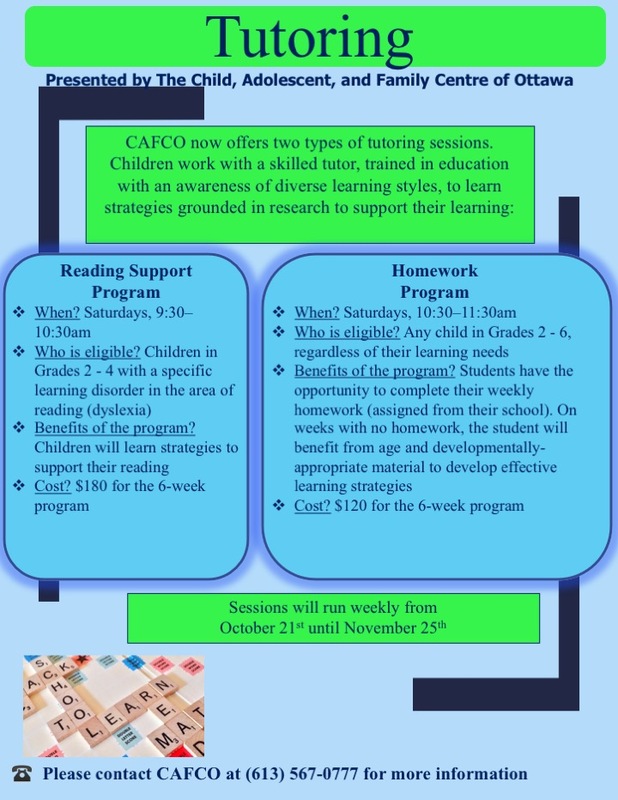 UPCOMING EVENTS – TUTORING SESSIONS. PLEASE CONTACT AMANDA AT ADMIN@CAFCO-CEAFO.CA TO BE ADDED TO OUR LIST. DETAILS TO FOLLOW. DRAW A PICTURE OF WHAT HELPS CREATE A HEALTHY MIND. SUBMIT YOUR DRAWING TO ADMIN@CAFCO-CEAFO.CA BEFORE DECEMBER 1ST, 2018. 12 DRAWINGS WILL BE CHOSEN BY DECEMBER 15TH, 2017 TO BE A PART OF OUR 2019 CALENDAR. 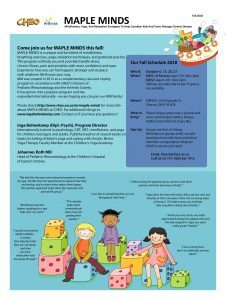 FREE YOGA/MINDFULNESS GROUPS FOR CHILDREN WITH CHRONIC PAIN. 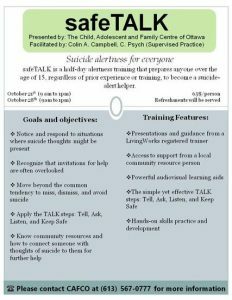 PLEASE EMAIL LRIVEST@CHEO.ON.CA TO REGISTER. PLEASE CONTACT AMANDA AT ADMIN@CAFCO-CEAFO.CA TO BE ADDED TO OUR LIST. PLEASE CONTACT AMANDA AT ADMIN@CAFCO-CEAFO.CA TO BE ADDED TO OUR LIST. 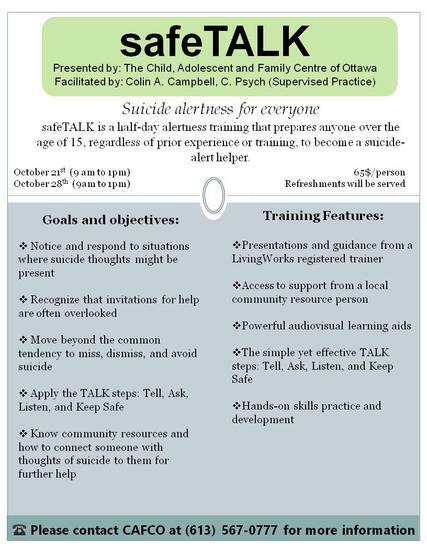 WE WILL BE HOLDING TWO HALF DAY SUICIDE AWARENESS SESSIONS, ONE FOR TEENS AND ONE FOR ADULTS. 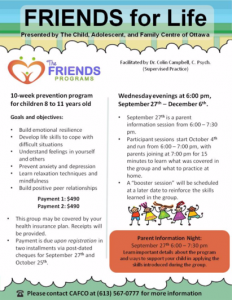 PLEASE CONTACT AMANDA AT ADMIN@CAFCO-CEAFO.CA CLICK HERE FOR DETAILS.